Must Love Dogs is a delightfully clean little romantic romp for anyone in the mood for a feel good rom-com. Starring Diane Lane and John Cusack in the title leads, it is also well acted for the most part. Lane stars as Sarah Nolan, a preschool teacher in her forties who swears off dating after several hilarious but disastrous dates. Sarah’s well meaning family is way too involved in her life and they decide to place an ad in the personals with her which leads to some great dates, and of course Cusack’s character, Jake. 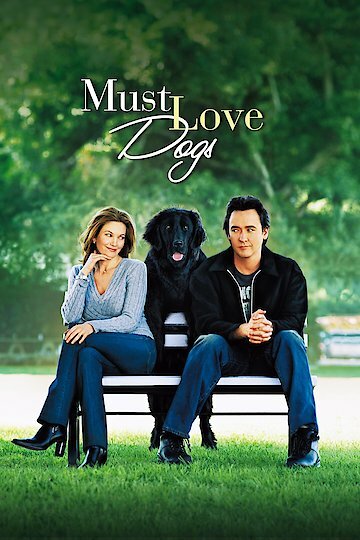 The tagline of Sarah’s personal is "must love dogs," which turns out to be ironic since she does not own one and soon lands a date at the dog park. She ends up borrowing a dog to meet up with Jake who has also borrowed a dog for the date. Whether this turns out to be sweet irony or a lie that will lead to trouble slowly unravels as the film progresses towards its ending. Must Love Dogs is currently available to watch and stream, buy on demand at Amazon, Vudu, Google Play, FandangoNow, iTunes, YouTube VOD online.